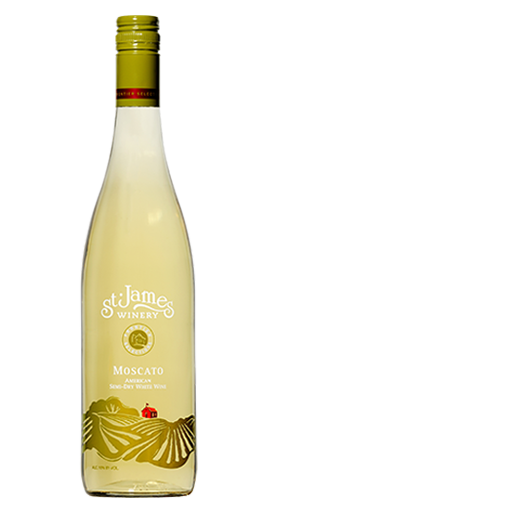 Floral and fruity aromas with flavors of marmalade and pineapple with a crisp, clean finish. A lively, easy-drinking, semi-dry white wine. Serve with your favorite soft cheeses. From Anonymous of Woodland, Alabama on 12/20/2018 . A friend from Missouri brought me a bottle of wine from the St. James Winery about 15 years ago & it became my favorite. I have purchased from you since, both for myself, & to give as gifts to my wine loving family & friends. You never disappoint. This wine is always outstanding. 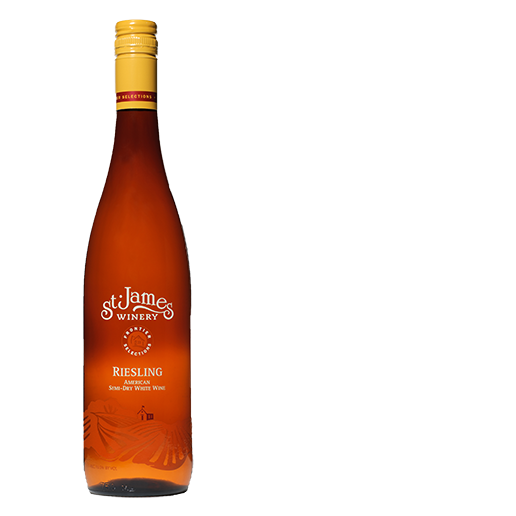 Semi-Dry White - Dynamic flavors of nectarines and apricots accented with juicy notes of tropical fruit. 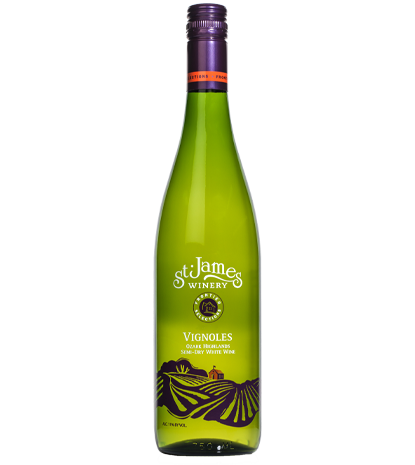 Semi-Dry White - Intense flavors of green apple, lemon and peaches.